A recent article posted on MD Magazine’s website highlighted one Navy recruit’s journey from the military into medicine. The two subjects have a lot more in common than you might believe. Christopher Bell, the Navy recruit in question, shared his 20 year journey as an aviation medic and his transition into civilian life as he brought his medical knowledge with him. What do these two professions share? 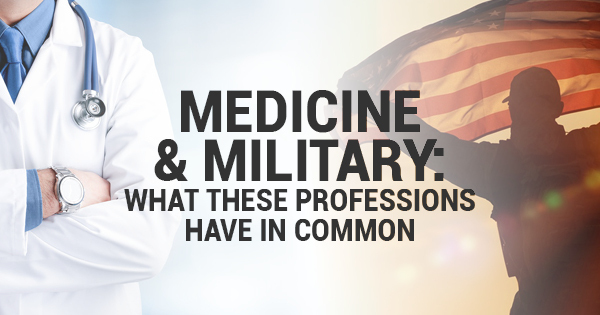 Both adhere to very strict regimens — from boot camp to residency, you are expected to be prepared and on time, without exception. Time is absolutely vital to healthcare and military fields; the necessity of routine enforces consistency and reliability in military groups, while the timely administration of prescription medication can mean the difference between life and death, pain and relief. As a result, both industries rely on clock servers, or time servers, to keep their clocks perfectly synchronized and accurate: utilizing a GPS time source, which uses satellites equipped with highly accurate atomic clocks as a base, and connecting the information to a network time server, which ensures all the clocks on your network are connected to each other, both professions can guarantee that the time is correct and the same for everyone. Wifi clocks can streamline this process by providing a cordless option with the same results: total accuracy. Both also employ the use of “military time”, a standard 24 hour method of telling time that removes the need for a.m. or p.m. and prevents confusion. While both careers require intense personal focus to succeed, they also both stress a devotion to the greater good; military members are expected to risk — and sometimes sacrifice — their lives for the good of their country, while medical personnel frequently have to sacrifice their personal lives, including the ability to have and see their family, due to the demanding nature of their jobs. The individual comes second in both cases, and both lose time in their own lives as a result of their dedication. With human beings keeping track of the time for the last 5,000 to 6,000 years, it’s hardly a surprise that our nation’s two largest industries are dependent on its accurate depiction. From wifi clocks to GPS clocks, you cannot deny the importance time has on our society and the most important members within it.